Winter is in the air and baby it’s cold outside!! My kids are going stir crazy and it’s not even February yet. We have been having a great time learning about cold weather and absolutely love doing Snowman Printables while being stuck indoors. Winter Kids Activities are fantastic for keeping the kiddos busy and learning through the winter! We can’t wait until we can make a real snowman but until we do we will have fun learning about them inside!! Here are some other fun winter kids activities your kids might like to try! 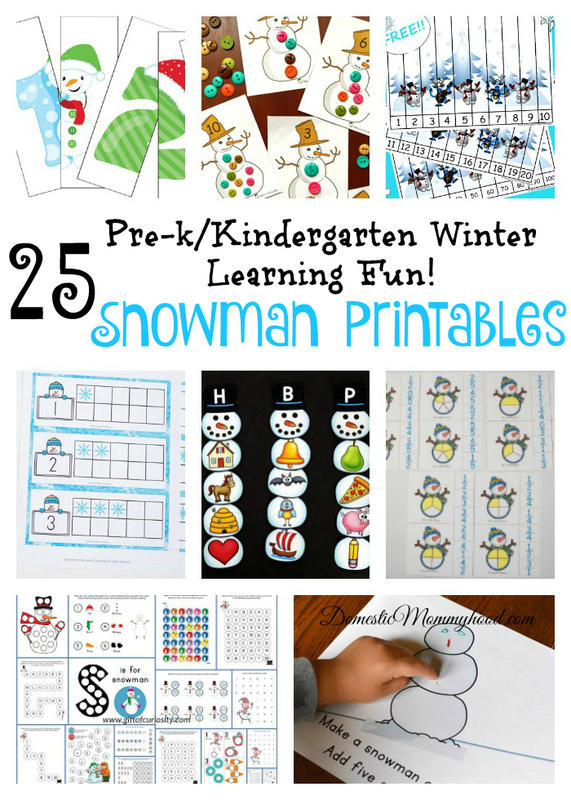 Below you will find 25 Fun Snowman Printable (Pre-K Kids Activities) for your child to enjoy! Preschool Do-a-Dot Snowman Printables from Crystal and Co.
How do you and your children have fun with snowmen at your house?? Tell me all about your winter fun below! !